The 93-year-old Zimbabwean President, Mr. Robert Mugabe, has launched a nationwide 10-venue speaking tour aimed at drumming up support ahead of elections next year when he plans to seek office again. 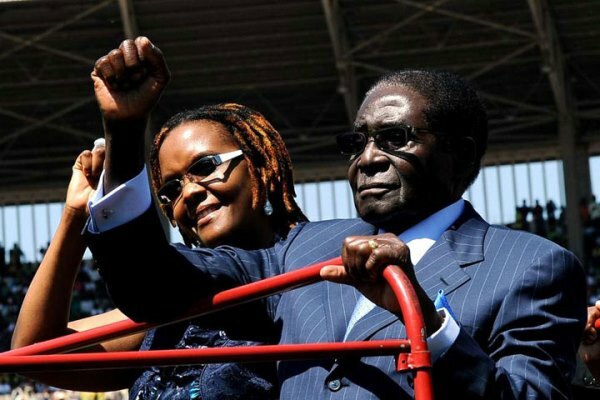 Mugabe, who appeared in better health than at some recent public appearances, spoke for an hour and a half at a rally outside Harare attended by several thousand ZANU-PF supporters.“President Robert Mugabe is our sole candidate for 2018. We declare you our life president,” Kelvin Mutsvairo, a provincial youth party leader, said in his speech. Mugabe has ruled since independence in 1980, and ZANU-PF are often accused of election rigging and voter intimidation.